I have been planning to write this sort of a post for a long time. 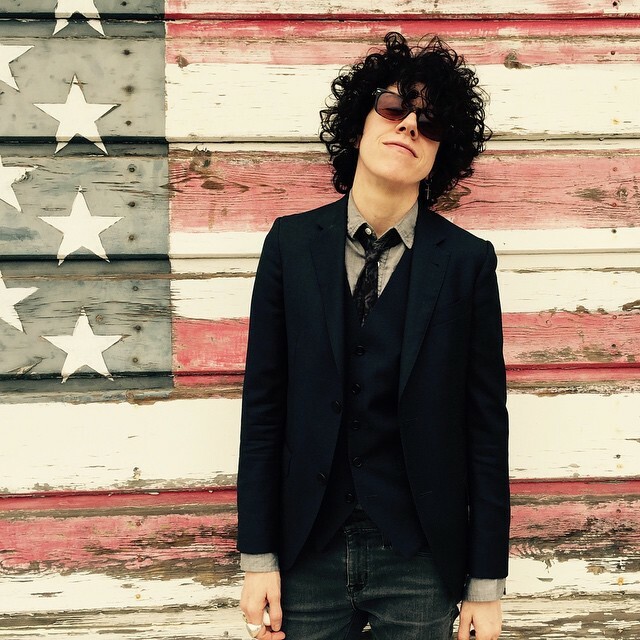 LP’s style is something you notice first (apart from her beautiful voice, smile & hair). 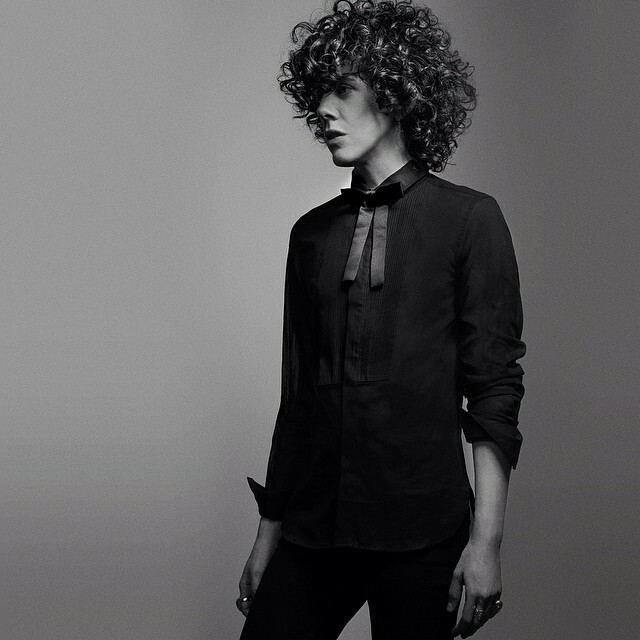 I’ve tried to collect as many interesting quotes provided by LP herself, on why she loves androgyny so much, and what makes her so unique in the world where being beautiful (as in full make up on) & slim is a must. 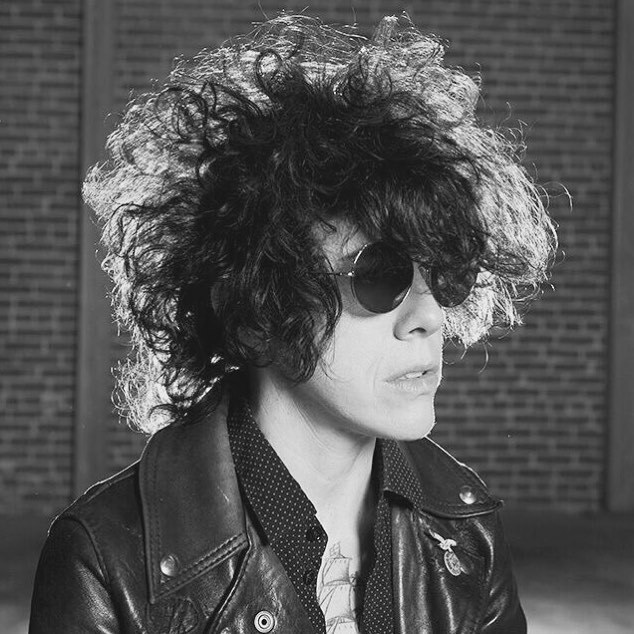 LP sticked to her guns for all her life (in life general, music and style), her style did evolve but it was always centered around androgyny. She is showing everyone that the best you can do is to simply be yourself and feel good in your own skin. 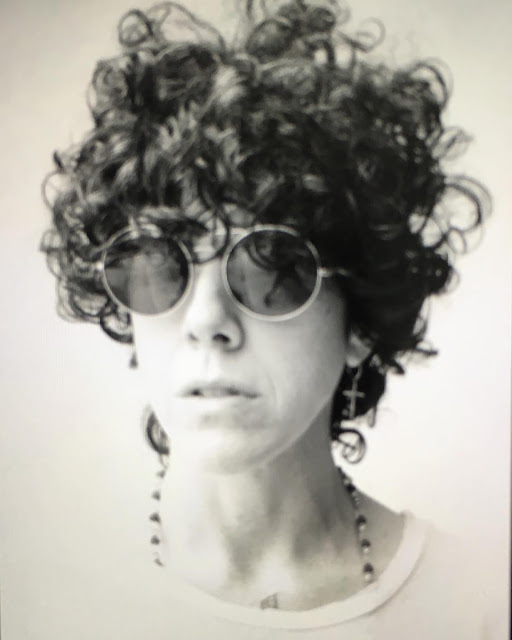 LP doesn’t wear any make up at all, apart when she has to (like on some rare occasions when TV camera ‘requires’ it [example: Sanremo Festival] or for a photo-shoot, but it’s still mainly the foundation, nothing else). 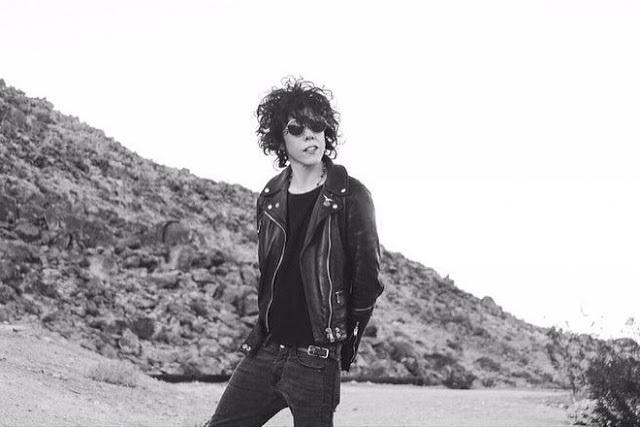 LP usually wears slim jackets or her favourite leather jacket (by Saint Laurent I believe), some t-shirt or shirt, skinny jeans, boots & occasionaly a hat (by Worth & Worth if I am not mistaken) which she bought in 2015. She also likes to wear sunglasses, before 2015 she loved Ray Ban’s classic Wayfarer style. Now she prefers aviator or ‘Lennon’ style, I think the sunglasses she currently likes to wear are by Oliver Peoples. As for jewellery, LP has been wearing a single cross earring for at least last 12 years. However to her it is not about religion, “I’m not an organized religion person, so the earring isn’t about that. It’s a very pure symbol to me so I don’t know, I like it.” LP received it from her friend’s older brother who was a PA (private assistant) on set of one of Madonna’s videos. As for necklaces, she almost always wears a beaded necklace as she likes to meditate. Then there’s a leather necklace she received from Martine Ali jewelry. I believe her long silver necklace is also by them. And LP loves to wear big rings. She has 2 signature skull rings by Alex Streeter. From him she also has a ‘black widow spider‘ ring. I like this one a lot. She also has a ‘Nautical Ring’ by Barking Irons, but it’s no longer available to buy. During her European tour (last year) she wore this amazing ‘king ring‘ by Aris Schwabe. And then there’s this ‘scroll’ ring she had since at least 2012 but she brought it back recently… Lately her favourite rings are by John Brevard: Blue Topaz Ethereum Ring and Thoscene Garnet Statement Ring. She also wears her engagement band she received on the 7th July 2017 from her fiancee, Lauren Ruth Ward. After an interview via After Ellen from June 2012. Q: So, as somebody who has been fighting mine my entire life, have you always embraced your curls? LP: “Yeah I guess so. I guess I just have always liked to have my hair in my face. And of course my friends’ moms would always be like, (in great old Jewish mother accent) “Ah you have such a pretty face; take your hair outta your face.” But I think it’s kind of my little shield from the world. I would wear sunglasses all the time if it wasn’t looked down upon in certain situations. I always thought I’d be someone who wore sunglasses like Roy Orbison.” To add a bit more about her gorgeous curls, she cuts it by herself (at least she did for many years, now perhaps her girlfriend does as she is a barber). In few interviews she mentions that each time she lets someone to cut her hair, she ends up looking like Howard Stern (her fan btw). After interview with The Laughing Lesbian (February 2016): Q: You have such a distinct and original image unlike anyone else. Was this image something that was easy for you to fall into or did you have to overcome the pressures of modern day “style” to become the icon you are today? After interview with Untitled Magazine (September 2016). Q: I was told that you prefer to only wear menswear. Can you tell me about your style choices? After interview at After Ellen (August 2014). Q: People really love your fashion. Can you tell us how you got your sense of style and where you get your clothes from? 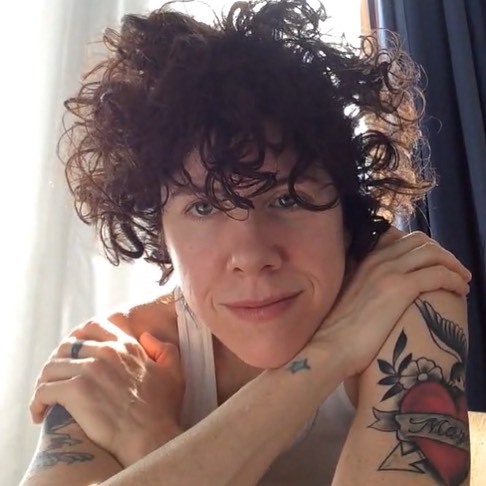 LP is also known because of her tattoos. She has at least 11. Some of her eldest tattoos are: butterfly on her middle finger [tattooed after butterlfy ring she received from her late mother & recently updated to an actual butterfly]; blue star on her right hand (LP explained in detailed her story behind this tattoo in my interview with her, click here), there’s a red star at the lower part of her stomach and there’s a heart on her left arm – a tribute to her late mother, as it has written her name, ‘Marie V.’ Originally this tattoo was dedicated to LP’s first love Pelagia, but they separated. After few years (I think in 2015) it was redesigned. She also has an eagle on her arm and TCB (as in Taking Care of Business, line used by Elvis Presley). And there are more recent tattoos: 7/L (she & Lauren both got them, it marks 7 LP’s favourite number, official day of the start of their relationship and it’s also first letter of their names). 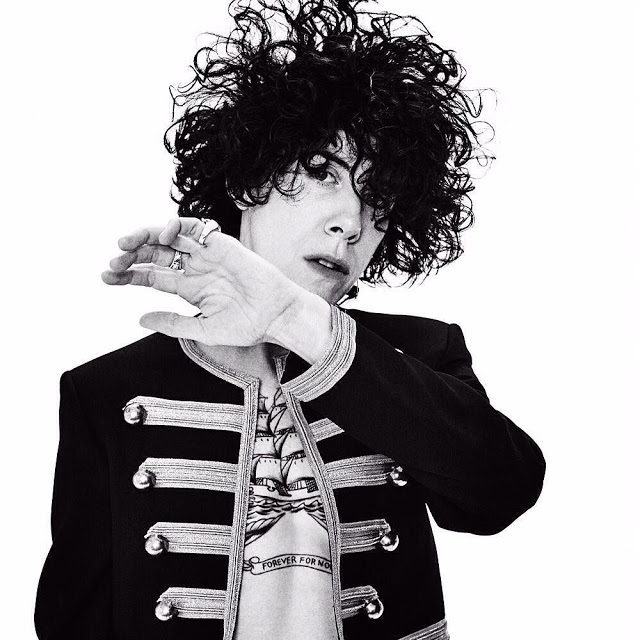 In 2016 while in Russia LP added “ЛЮБОВЬ” – meaning ‘love’ in Russian. Update: in 2017 LP added a sun tattoo on her arm, while in Switzerland during her European tour. In 2018 she got a chick on her foot while on tour in Russia. And then there’s the biggest and possibly the most important tattoo of all, that marked a very difficult period in her life. 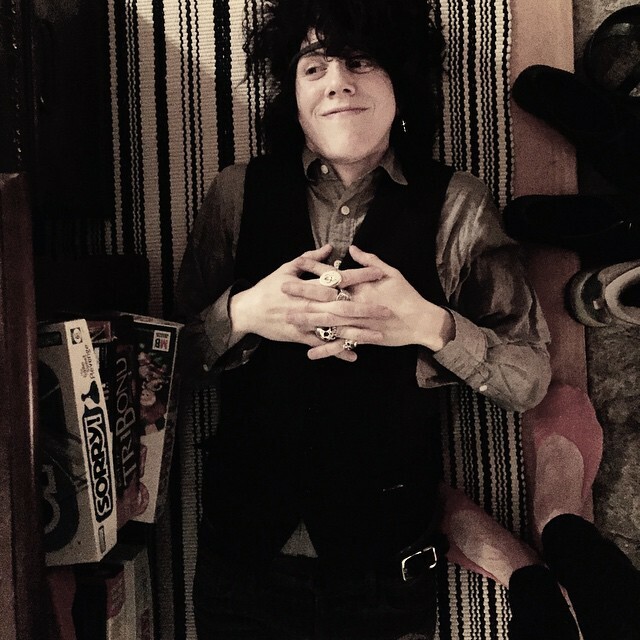 LP tattooed it at the start of 2016 while in New York. Photo Michel Comte via LP‘s Instagram – love everything about this picture. And that famous SL jacket! 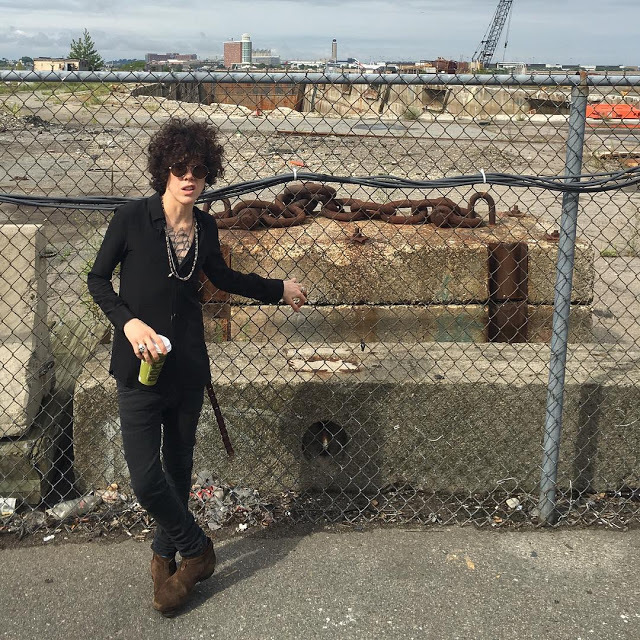 Courtesy of Kasia Turowicz who did an interview for ‘All about music’ with LP when she was recently in Poland, I can provide you with an original transcript of that interview, in which LP speaks why & when she got her ship tattoo. For full interview (in Polish), click here. Q: Katarzyna Turowicz: At first I just have to ask you this question – why did you decide to tattoo a ship on your chest? Does it have a special meaning to you? Q: KT: Was it hurt? “I don’t go for the classic ideal, obviously, of the feminine beauty. In the clothes it’s a statement to your house, and I really kind of learned that and respect that. I was always like a tomboy. I had a partner that was a fashion designer. She was very educational, like, get a little tidier, get a little smaller, you know, get more streamline. I think I’ve gotten like less baggy and less baggy, and less baggy. You know, it’s like I’ve shrink-wrapped myself. I’m wearing Saint Laurent right now. This jacket, this shirt, this is a vintage Saint Laurent tie. I feel like blazers always, like, pull it together, you know, like you wear a blazer over a T-shirt. I kind of like to be dressed up. I don’t mind being at the beach in a Saint Laurent. I’m wearing Carol Cristian Poell shoes. They’re crazy beat up. They work like, they have like a sheen that kind of like they are a little bit beat up, but no they really are beat up now. This earring is like an old, old… like a friend’s older brother was like a PA on like a Madonna set, like, one time, and this is from one of her videos, back in the day, and he had had it and he gave it to me, and I’ve just been wearing it for, like, over ten years. This is from Barking Irons. They, like, have, like, some jewelry and they do, like, T-shirts, like, they did T-shirts for Kings of Leon. And then these are Alex Streeter. I think like in my teenage years I was, like, kind of more about music and it started to dawn on me that, like, that’s what I wanted to do. I don’t think I really believed you could do it. I took my mom’s death. She was an opera singer. She never communicated that for me. I was just a kid, I don’t think she wanted that. I think, like, a part of her that was not being expressed. A missed opportunity to express yourself sometimes will change the chemistry of your body. And I see it in the way I dress. It’s my expression, you know. Whatever someone’s gonna say, hey, you look a little crazy, you look this or that, you just gotta do it and pursue it. And, you know, the only way I knew how which was just, like, putting a couple of people together and playing in a band and playing out in the city and stuff, and not really knowing and being directionless. When I had my first indie deal and it didn’t work out, I just was like “What am I gonna do, I don’t know what I’m gonna do” and I’m just, like, you know, I’ll just keep making music. Figure out a business of, like, your heart and your dreams, and just keep going. To sum up, when you will be wondering which designer LP is wearing, usually a safe choice will be a SL, mostly from men’s line. Her burgundy bomber jacket is his, click here; her brown western suede jacket is his, here; her navy wool sweater with gold buttons is his, here; one of my favourite jackets is the cotton one by SL which she wore to concert in Warsaw, back in December 2016. Then there’s the military one, to which I linked under Michel Comte pic and fringe suede called ‘Curtis‘. Oh and the polka dot blouse at her live session video is most likely SL too, check that one here. 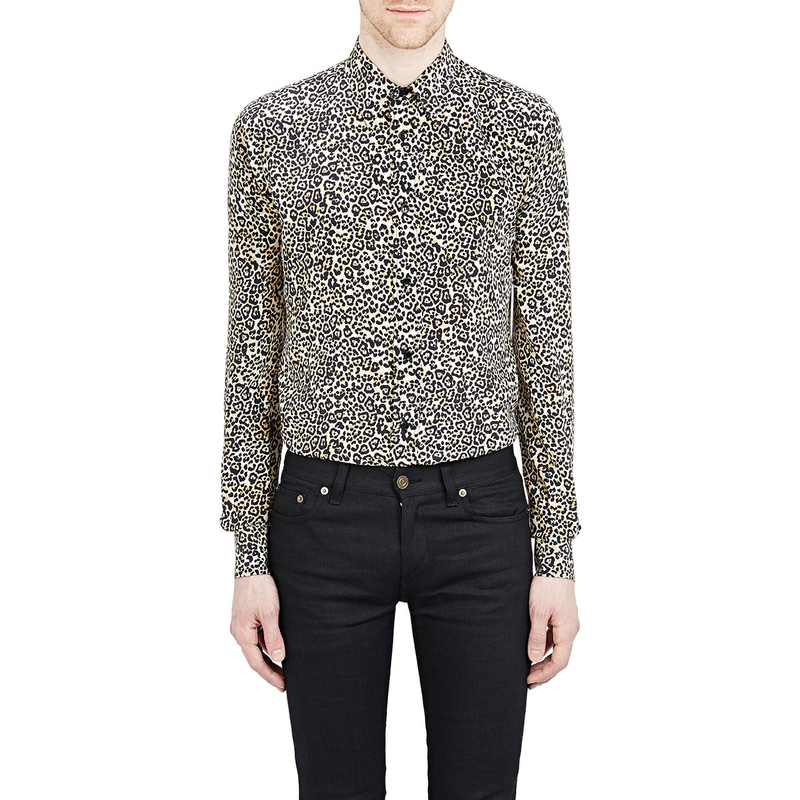 The beige leopard print shirt worn to Full Moon Festival & Magazzini Generali is also by SL, here. And that red one with tiger print, favourite amongst many is SL too, click here. And brown with paisley print SL too. I know she also has few clothes from All Saints (like her older leather jacket). The black slim shirt she often wears is by Maison Margiela. And I totally LOVE her beige coat which she wore during European tour, however that one I couldn’t find so far. Update: The camel coat is by Dior Homme. Finally found it! !